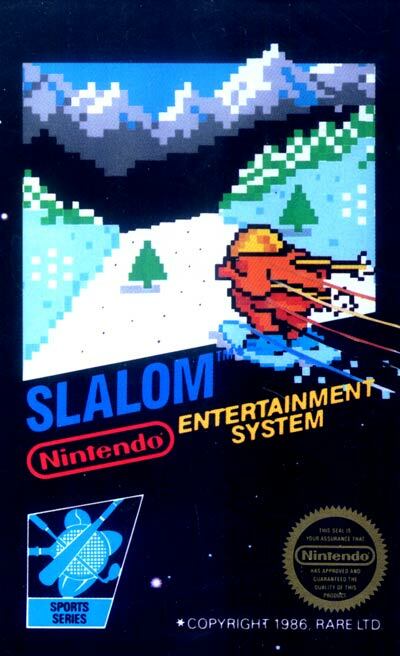 The goal in this game is simple: reach the bottom of the ski run before the time runs out. Avoid the snow lumps, snowmen, sledders and other skiiers to maintain maximum velocity! If you do hit a snow lump, press down on the D-Pad for bonus "freestyle" points. This game bears the distinction of being Rare's very first console video game (though they had created a variety of previous games for home computers such as the ZX Spectrum). Rare would go on to achieve widespread fame for the creation of Donkey Kong Country for SNES... as well as Goldeneye, Killer Instinct, Perfect Dark, Banjo Kazooie, Jet Force Gemini, and many other popular N64-era games.